Cochrane Library A collection of databases that contain evidence for healthcare decision-making. Includes systematic review abstracts, technology assessments, economic evaluations and individual clinical trials. How to export to Refworks. Simultaneously runs two searches in PubMed- first for systematic reviews, using the Clinical Queries filter, displayed under the “Systematic Reviews in PubMed” heading, The second uses a systematic review methods filter to find methods guidance and studies. Those results are displayed in the “Systematic Review Methods in PubMed” heading. You can also MEDLINE using the Web of Science database which some people find easier. Scopus is the largest abstract and citation database of peer-reviewed research literature with more than 20,500 titles from more than 5,000 international publishers. Scopus offers researchers a quick, easy and comprehensive resource to support their research needs in the scientific, technical, medical and social sciences fields and arts and humanities. It also contains tools that track, analyze and visualize scholarly work. Comprehensive coverage of the preclinical, medical and pharmacological sciences. Strong in the European literature, EMBase includes 2,000 not currently covered by Medline. Evidence-based clinical reference tool written by physicians who synthesize the evidence and provide objective analysis to help health care providers in their daily practice. Designed to provide quick answers to clinical questions. DynaMed Plus is a major upgrade to the DynaMed system and includes an improved search interface, thousands of graphics and images, specialty content, mobile access, and enhanced drug information. Drugs@FDA: FDA Approved Drug Products - includes most of the drug products approved since 1939. The majority of patient information, labels, approval letters, reviews, and other information are available for drug products approved since 1998. Includes efficacy information. National Guideline Clearinghouse is a public resource for evidence-based clinical practice guidelines. Database of Abstracts of Reviews of Effects (DARE) is produced by the NIHR Centre for Reviews and Dissemination (CRD) at the University of York, UK and evaluates systematic reviews in the field of healthcare and medicine. A summary of the review and critical commentary are written by experts in the topic area and in systematic reviews as a research method. TRIP is a clinical search tool designed to allow health professionals to rapidly identify the highest quality clinical evidence for clinical practice. Problem formulation - which topic or field is being examined and what are the component issues? Asking is fundamental to the evidence-based decision-making process. A "well-built" question should include four parts, referred to as PICO that identify the patient problem or population (P), intervention (I), comparison (C) and outcome(s) (O). Example: How do alternative breast cancer treatments improve the quality of life for young adult females? To get the full-text of an article you found on the web or elsewhere paste the citation information into Google Scholar and follow the Get-it buttons. Or use the library's citation linker tool. If we don't have your article electronically or in print try borrowing through InterLibrary Loan. 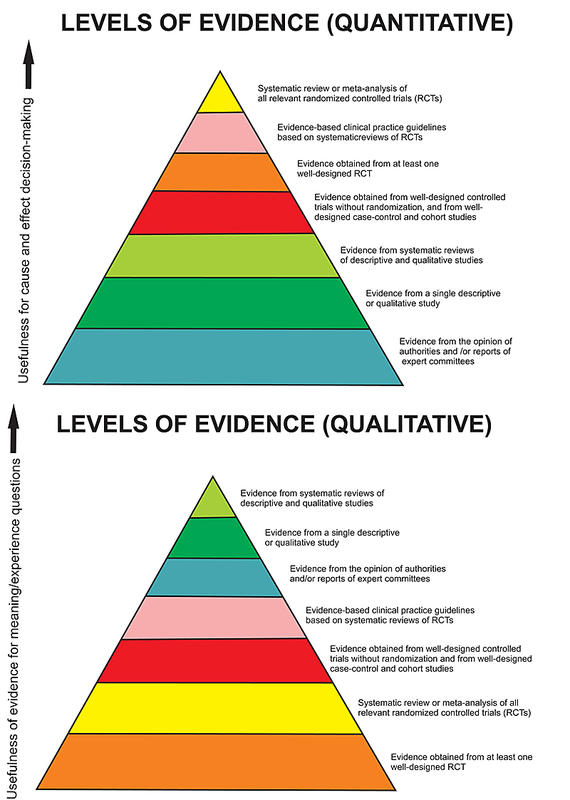 Evidence-based nursing : the research-practice connection / Sarah Jo Brown.Jones & Bartlett Learning, c2012. Nursing research : reading, using, and creating evidence / Janet Houser. Jones & Bartlett Learning, c2012. Reading research : a user-friendly guide for nurses and other health professionals / Barbara Davies, Jo Logan. See a list of nursing research titles in library. RefWorks is available through the Library subcriptions. You create a personal database of references, generate a bibliography from your list of references & automatically format in any common citation style.